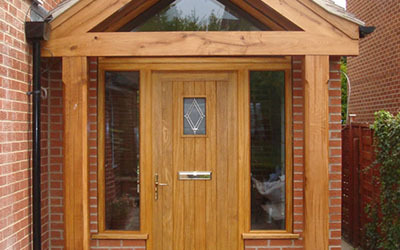 JW Joinery manufacture and install a wide range of timber and UPVC windows and doors. 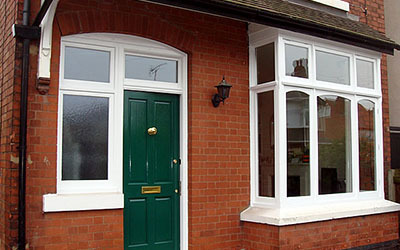 We can produce casements, sliding sash windows, and mock sash windows. We also produce bi-fold, patio, and French doors in a range of hardwoods or softwoods, pre finished or untreated, in any chosen colour. 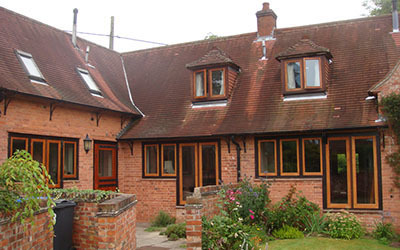 All of our windows and doors are fitted complete with double glazing, to meet current regulations. We can produce bespoke items for conservation and listed building requirements, together with building applications for building consent if needed. In addition, all installations are FENSA approved complete with an insurance backed guarantee. From design to installation, JW Joinery offer kitchen fitting services suitable to any taste or budget. 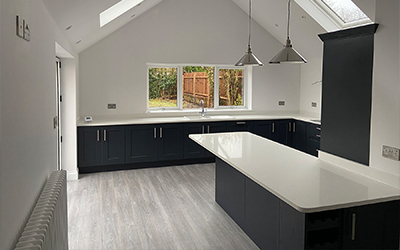 We firstly design your kitchen to suit your requirements, incorporating your personal choices to make your kitchen unique. We then source an appropriate kitchen range within your budget, if it's not a full replacement kitchen you are looking for, we can also offer a kitchen makeover/refurbishment, replacement worktops, or just some small alterations. JW Joinery manufacture and install bespoke staircases in both hardwood and softwood, with a range of handrails/balustrades/glass panels, made from a range of materials including traditional oak and contemporary chrome. 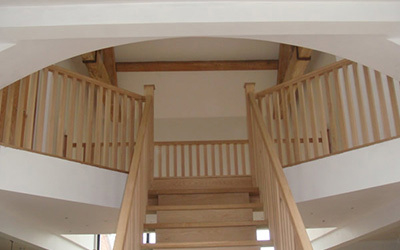 Our company is also able to offer staircase renovations to upgrade your existing staircase to suit your requirements. If you are looking for an additional usable space in your home or garden, JW Joinery can design and build conservatories, porches and garden rooms, all of these will help to add character to any property. 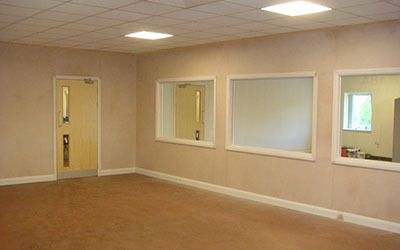 JW Joinery can provide any general 1st and 2nd fix joinery, from architraves and skirting, to partitioning and fire doors, either in domestic, commercial, or industrial settings. Whether it is something unique or a bespoke purpose made item you require, we offer a manufacture and installation service. We can replicate existing items or design new and exciting pieces of craftsmanship. 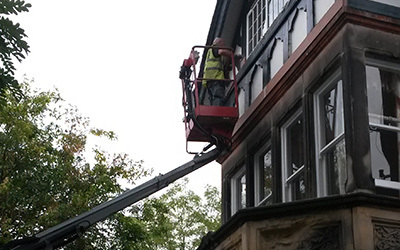 In order to preserve and maintain listed buildings and properties situated in conservation areas, JW Joinery manufacture and install anything that needs to meet the requirement of local authorities. As a company, we provide architectural drawings and submit applications for your proposed alterations, liaising with local authorities to gain approval of your project. JW Joinery can work on small home alterations to extensive property renovations, closely working alongside other tradesmen if needed. 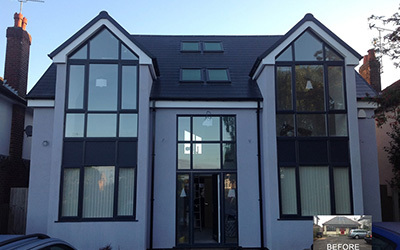 We can also offer project management on any larger projects if required.